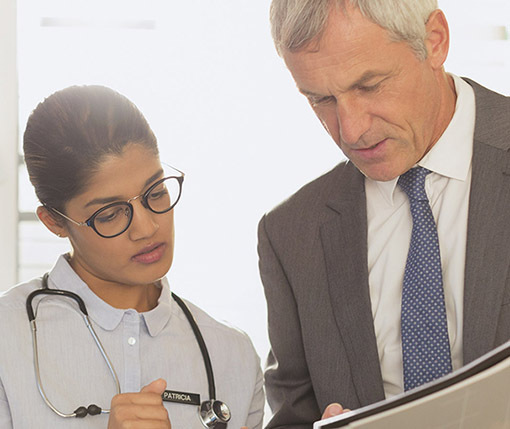 Translating insights from data into operational best practices may be the key to improving health care quality and outcomes while reducing costs. Health Datapolooza is an event that explores better ways to use the information hospitals collect and turn that data into innovation and action. RTI International is proud to support that effort by sponsoring the 10th annual Health Datapalooza. RTI has spent decades working to find new ways to extract actionable insights from data and continues to find new solutions to help the health care industry reduce costs and improve patient outcomes. Steve Cohen, vice president of RTI's Division for Statistical & Data Sciences, will deliver a presentation on "Data Integration Innovations to Enhance Analytic Utility of Clinical Trial Content to Inform Health Disparities Research." Learn more about RTI’s work to help providers draw answers and solutions from data to advance their efforts. Stop by our booth at Health Datapalooza or attend the many presentations from RTI researchers during the conference. Patient-centered clinical decision support can aid clinicians and patients to determine the best course of treatment for pain management and opioid use. Meet with RTI's Barry Blumenfeld from 11 a.m.-12 p.m. on Thursday, March 28 at RTI’s booth (#35) to learn more about 19 patient-centered clinical decision support solutions that can be put to use today to reduce opioid use and abuse. Learn more about the Patient-Centered Clinical Decision Support Learning Network's Opioid Action Plan Working Group.